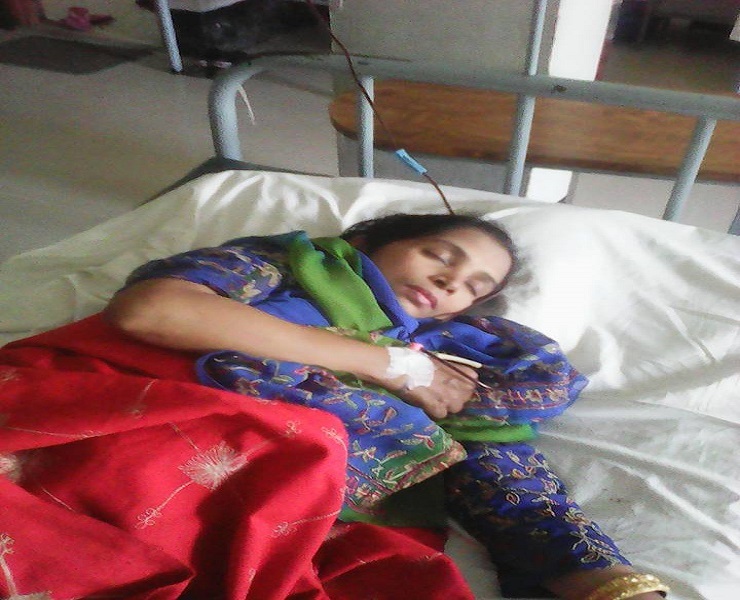 Salma Begum Tanu, Lecturer of Philosophy, at Athar Uddin Haoladar college, Bakerganj, Barisal, Bangladesh, has been suffering from chronic liver disease (Liver Cirrhosis) for past two years. In the stage of Liver Cirrhosis, the liver shrinks and slowly stops its normal function. Unfortunately, the outcome of the affected person would potentially be death if a lever transplantation is not performed at the earliest. Mrs. Salma Begum is currently under treatment of Professor Dr. Salimur Rahman, one of the best Liver disease specialist in Bangladesh. Dr. Salimur said, Mrs. Salma will have to transplant the lever, however, it is not possible to have this transplantation surgery performed in Bangladesh. The nearest possible lever transplantation surgery could be done in India. It has already been communicated with Dr. Subash Gupta (http://www.apollohospdelhi.com/team-of-doctors/liver-and-kidney-transplantation/dr-subash-gupta) and she has been acknowledged by the Dr. Subash that it would be great if the surgery can be conducted by March 2017 and the reason he mentioned that is, this kind of surgery requires more physical strength, and thus the earlier is the better. In total, the potential expenditure would be around 50 lacs BDT (equivalent to USD 63,552.00). To spend this amount of money is beyond the capacity of Mrs. Salma Begum and her husband Aminur Rahman Khan (Principal, Atahar Uddin Haoladar Degree College, Bakerganj, Barisal, Bangladesh). At this time, the teacher's family are living in a state of helpless plums. Their only son, Prithibi Rahman Nir, a student of 10th grade at Barisal Model School looks at his mother with eyes of full of tears, which is a heart-rending scene. Mrs. Salma Begum appeals to everyone, "if possible please extend your helping hand, by the grace of Almighty Allah, allowing me to recover from this deadly disease. We, the teachers, who has spent our life building as artisans, today we are looking at those people with a hope of little help, for a new life. Please help! Open your heart, we need your generous support to save a precious life. Your contribution is tax deductible if you contribute through Ankur in USA.